I took the bus to work, which is about the most unsexy thing you can possibly do in this town. I don’t know why that is, exactly, but it’s just not a choice most middle-class residents make around here; the unspoken understanding is that it’s what you take when you have no other choice. And actually, at that moment, that’s where things stood: our car was en route from Pittsburgh to Chicago, and my knees were bruised and sore and resistant to cycling. I was taking a bus because it looked darn attractive, given the options. My brief walk to the bus stop shifted my perspective in a good way. I left the house kicking myself for missing an early morning row on such a gorgeous day, as well as the chance to bike into the city. But I was walking the few blocks under a flawless sky, and the walk itself was soothing to my knees, working out the kinks. At the bus stop I leaned against the window of the St. Paul Yoga storefront that graces the corner, and it hit me, as I stood there and soaked up the sun, that I recognized this feeling. Waiting at Selby and Dunlap reminded me of being in Berlin, standing at the corner of Martin Luther and Hohenstaufenstrasse a few dozen times over the past year, waiting for an M46. 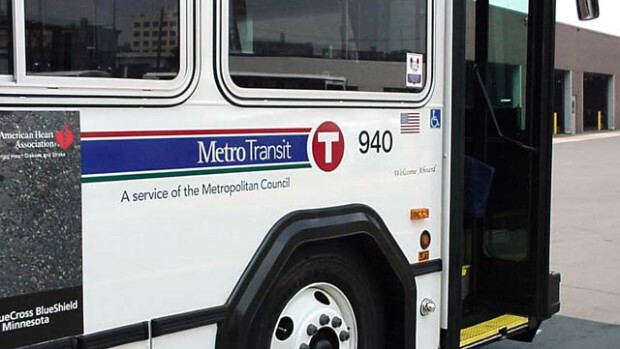 And it occurred to me yet again, only this time in my home base of St. Paul, that transit, unlike biking, leaves my hands and mind free; all I have to do is sit back and enjoy the ride. Meaning, I can write on a bus. In fact, I like to write on buses and trains; I like it very much. If you think perhaps I am unusual in this habit, you would be wrong. I know this because Amtrak now offers writers’ residencies on their trains. They’ve begun offering 24 spots a year to writers, who are invited to apply for the right to ride the train for hours in one direction, then turn right around and come back where they started. It’s a free ride, but they can’t get off at the end of the line. The gift is the time and space to write on a train. Even more interesting than Amtrak’s offer is the overwhelming interest in these spots; would you believe that no fewer than 16,100 people applied for those 24 rides this year? That gives applicants a .15% chance of landing such a deal. You might as well try to win the lottery, or better yet, buy yourself a train ticket. But I didn’t have to win the lottery to claim this time. I’d been wondering how I could bottle some of that boundless time I found in Berlin and bring it home with me. I believe I just found a way to uncork a little of it on a daily basis. When offered a free parking pass for a downtown lot by my new boss, I did the unthinkable; I turned it down and asked for a transit pass instead. I like mass transit, and I can write there. Not much, obviously; I live close to downtown and the ride is little more than 20 minutes. Still, I am a deadline-driven individual, and knowing I only have a few stops to work out a thought is a fine pressure to have. And besides, the trains and buses don’t exactly hue to their printed schedules around here. But that’s another story. I wouldn’t mind doing the Amtrak thing. In addition to writing, I’d give lessons on writing! Hours of found time to write! I’m extra impressed by your ability to find your way around the Twin Cities by bus because now I know how little info our bus drivers give you to tell you where you are! I do know the area, but I got used to the S-Bahn where they tell you the next 3 stops, so you could prepare yourself. I think you’d like the new Green Line train — goes right down University Avenue! And there’s a new bus you can catch to get to the station… Progress! Hahaha, yeah, I got lost every once in a while, as you may remember 😉 I always tried to sit as close as possible to the driver to understand what he says. But it is still a little difficult when you’re used to the German Öffentliche Verkehrsmittel 😉 Fortunatelly, the drivers were always really nice and repeated the name of the bus stop for me when they saw my confused face, haha.